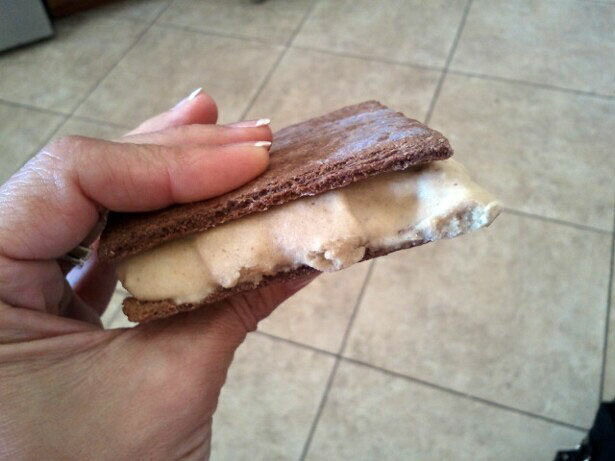 Recipe for Fitness: Cool Treat on a Hot Day... Clean Ice-Cream Sandwiches! Cool Treat on a Hot Day... Clean Ice-Cream Sandwiches! It's hot. I don't know about where you're at, but we hit 110, again, this weekend. Time to whip up some chill treats, and these gems really hit the spot! You'll need frozen bananas on hand for this, so if you've got some on the counter that are about as ripe as they're gonna get, peel them, chop them into chunks and toss in a freezer bag & into the freezer. They'll be ready tomorrow. Spread into a greased cookie sheet and roll flat, and to about 1/4 inch thickness. Score the dough into 12 squares - the deeper you cut, the easier it'll be to break them apart after baking, but don't bother cutting all the way through now. Bake at 350 for 10-11 minutes, then allow to cool slightly before removing from pan to a wire rack. Break them apart and cool completely. Add frozen bananas to food processor/vitamix/strong blender. Begin blending. This will take several minutes, so be patient. As the bananas begin to turn into ice cream, add in your protein powder and nut butter. Add a splash of almond milk if needed. Allow to whirl/blend until it looks like ice-cream. Spread ice cream between two crackers. Serve immediately (though it'll be soft and squish out the sides) or place in airtight container in freezer for about 2 hours (any more and allow them to defrost before biting in). Place any leftover ice cream in a bowl and freeze. Score through the dough making an even number of "crackers". The deeper you go with the knife, the easier it will be to break them apart after baking. After baking, allow to cool on the pan until just warm to the touch, then break them apart and cool completely on a wire rack. Toss the frozen bananas into your food processor (mine's a cheap little $20 deal from WalMart). You can use your blender, but be sure you've got a good hold of it, and that it's a strong one, because those frozen bananas do NOT want to be broken down. As they begin to turn into ice-cream, add your protein powder and peanut butter (if using). Add a bit of unsweetened almond milk if you need to. 162 calories, 5g fat, 3 g sat fat (from the coconut butter - it's a healthy sat fat! ), 17g carbs, 12g protein, 3g fiber, 4g sugar (all natural, not added). That is awesome. I'm fortunate enough that I can go by Bob's Red Mill on my way to work and pick up great ingredients from the bulk racks! Worth the trip to Milwaukie, Oregon. But anyway, thanks for the great recipe!!! I want ot make these for sure. I have tried looking for this graham bob's Red mill butttt...what a great idea to stop at a bulk store to see if they have it...my weekend treat for sure. I love you, I love you I LOVE YOU!!! I have been CRAVING ice cream sandwiches for months and have not been able to find any worth eating!! I tried to make my own version of the crackers and let's just say they didn't exactly turn out. Blaaaahhh :( ! Thank you for coming up with this one. I am one happy mama! 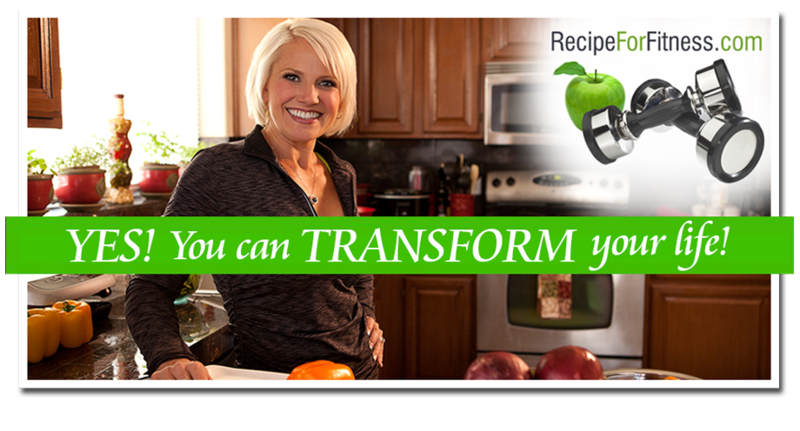 You are an amazing cook, Chelle!!! Wow, very thin.. But it looks very delicious.. I like it..